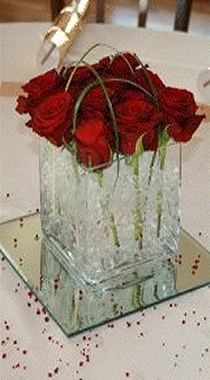 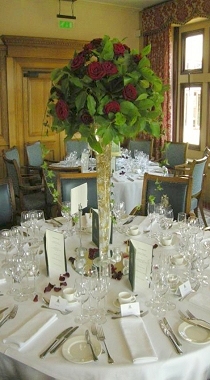 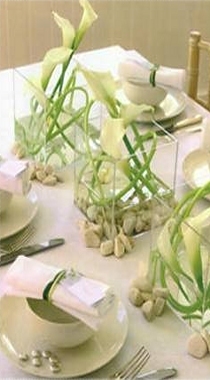 Whatever your venue, table displays add to the sense of occasion. 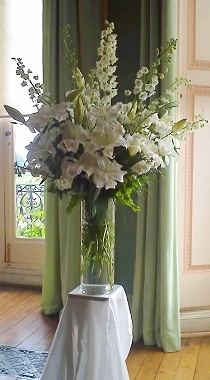 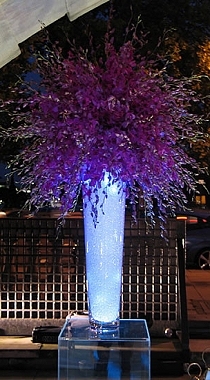 Let us continue your floral theme and colours at the reception. 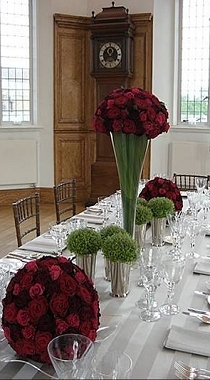 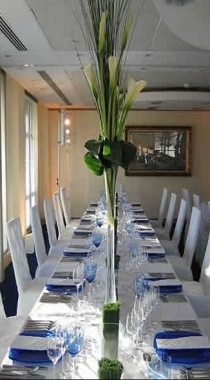 Follow your design through with co-ordinated reception flowers with table flowers, glass vase arrangements, fresh rose petals, cake decorations, thank you bouquets, marquee cascading flower balls, flower and greenery garlands and balloons. 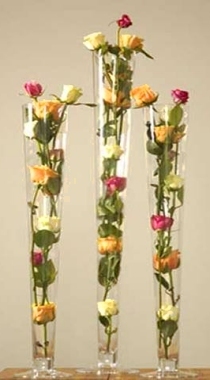 We delight in putting together individually tailored combinations of all the flowers you might want to make your wedding visually memorable and this includes designs for the venue. 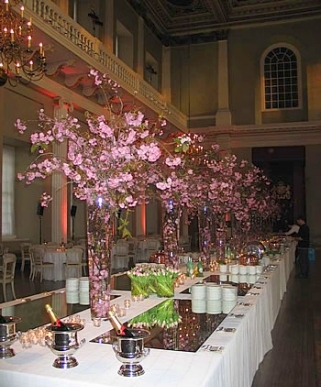 We have designed and provided complete floral designs and displays for a wide variety of events large and small, in all kinds of settings.